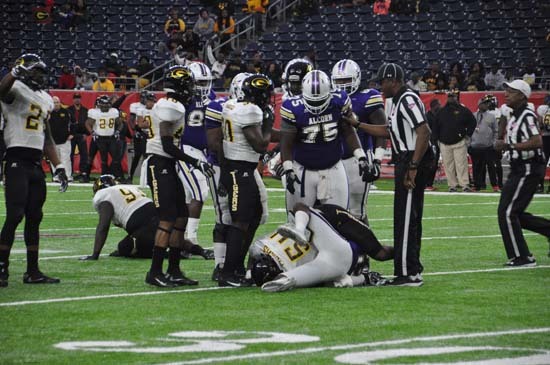 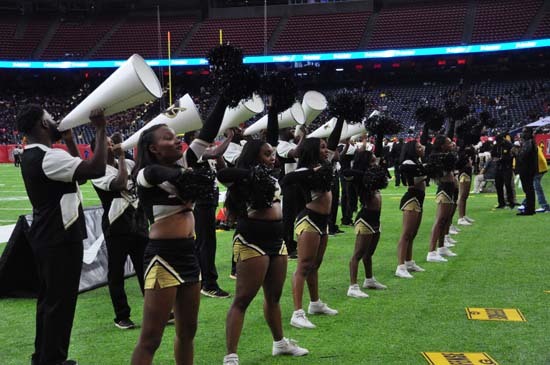 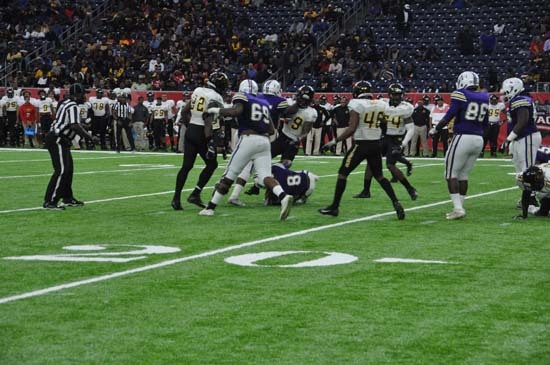 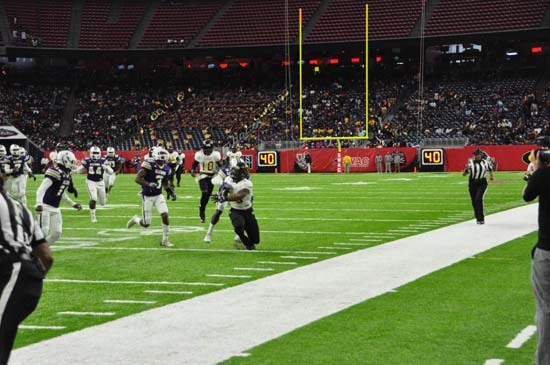 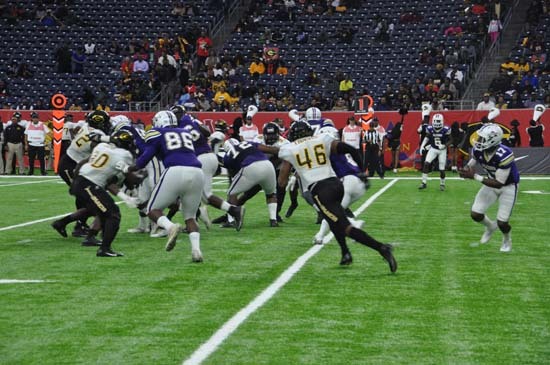 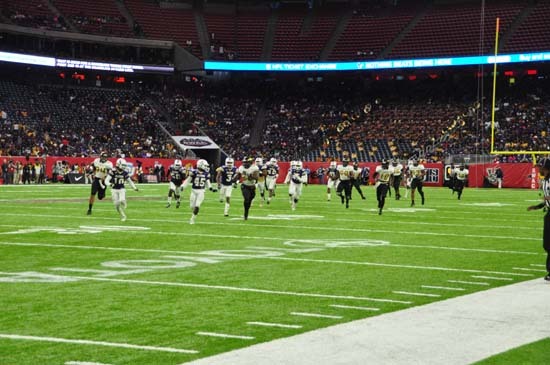 HOUSTON (KTRK) -- Grambling State overcame a 17-point halftime deficit to defeat Alcorn State 27-20 in the Southwestern Athletic Conference Championship on Saturday. 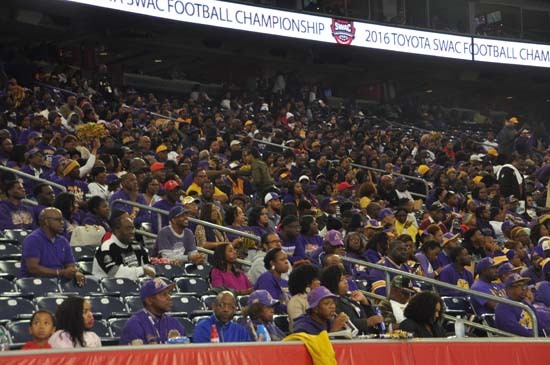 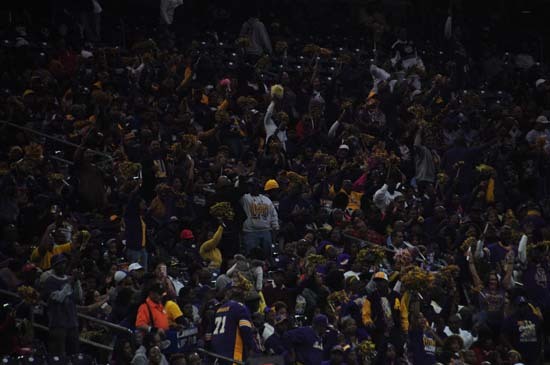 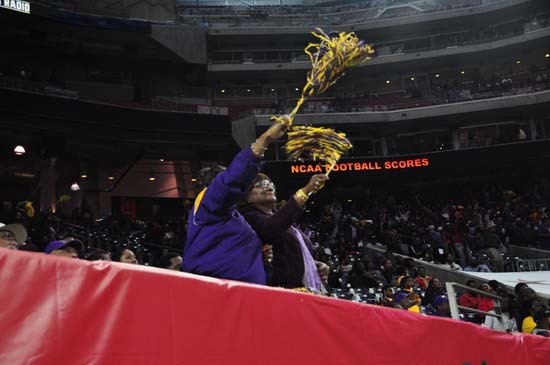 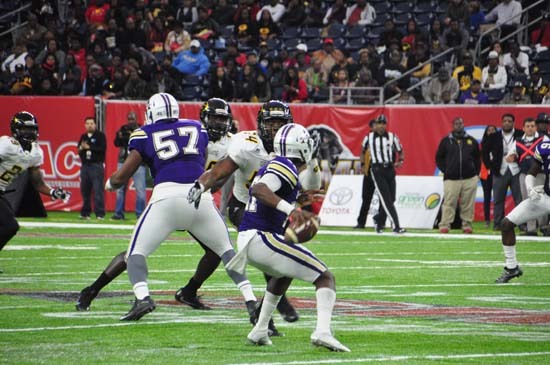 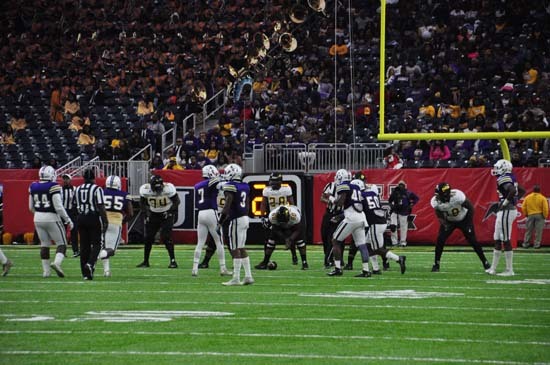 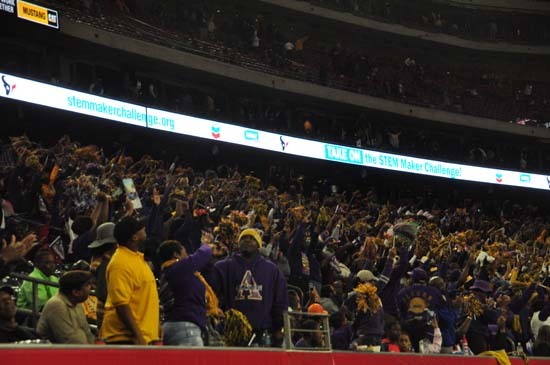 The game was a rematch of the 2015 SWAC title game, which Alcorn State won 49-21. 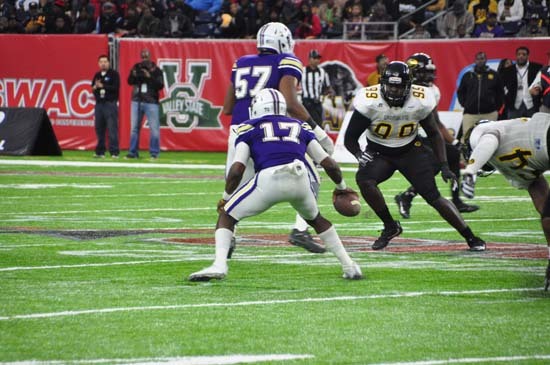 The Tigers won their first SWAC championship since 2011 and 24th conference title in school history, the most in the conference. 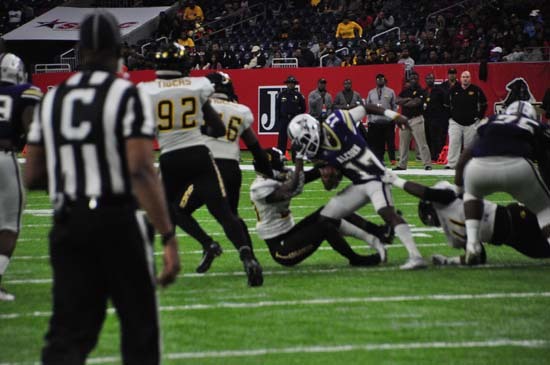 After trailing for most of the game, Grambling State (10-1) took a 27-20 lead with less than four minutes remaining on a 31-yard touchdown run from Martez Carter. 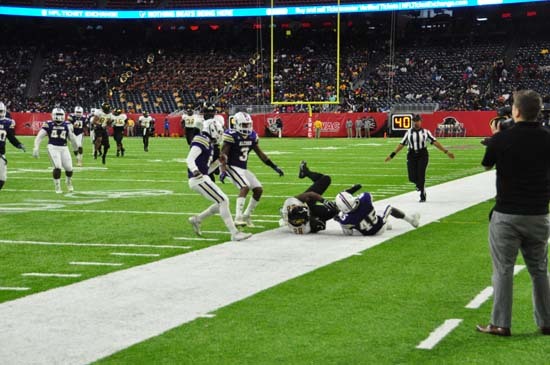 The Tigers tied the game at 20 when Dominique Leake caught a forced fumble in midair on the 2-yard line and stepped into the end zone. 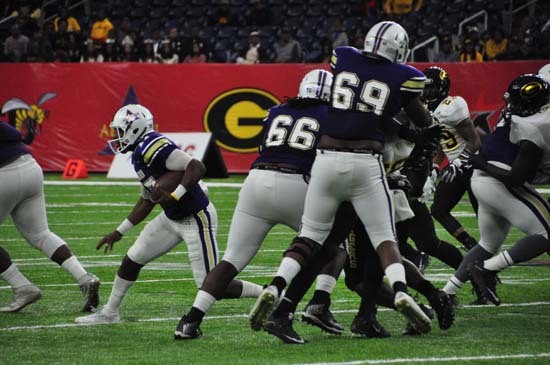 The extra-point attempt was blocked by Alcorn State, but Carter's touchdown and a strong defensive finish ensured it didn't cost the Tigers. 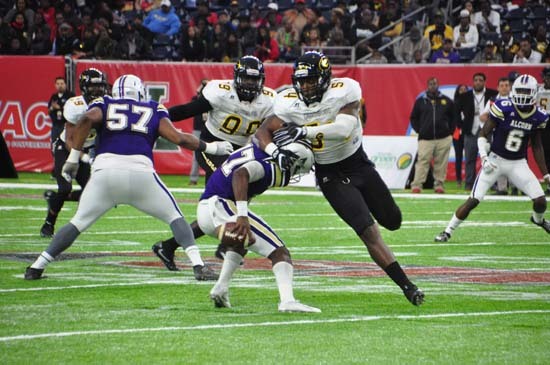 Grambling State cornerback Jameel Jackson intercepted a pass at midfield with three minutes remaining to secure the win. 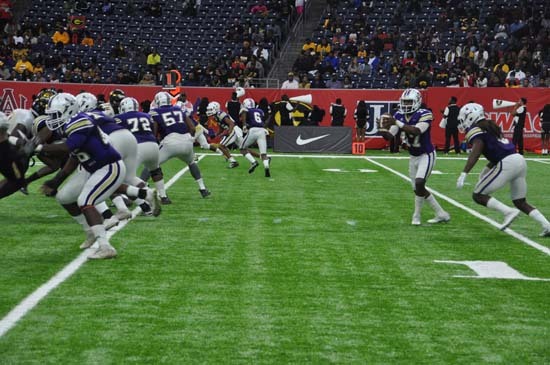 Carter rushed for 135 yards on 15 carries for the Tigers, and quarterback Devante Kincade threw for 235 yards and two touchdowns on 15 of 22 passing despite eight sacks. 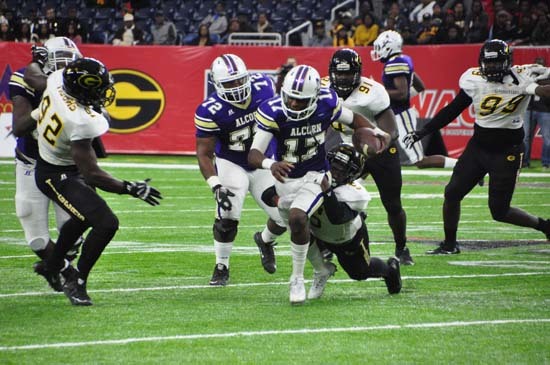 Alcorn State (5-6) got 126 yards rushing and touchdown frin De'Lance Turner, who had 16 carries. 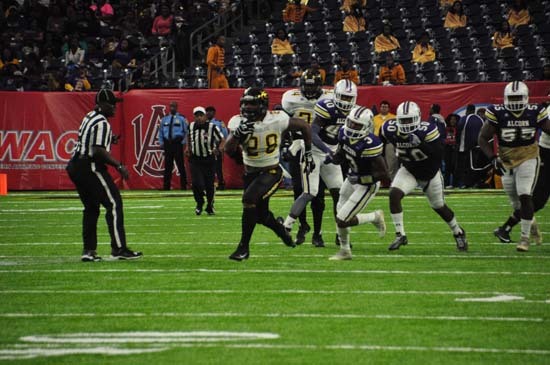 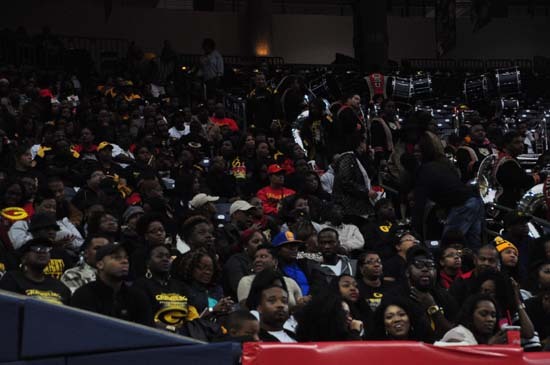 GRAMBLING STATE: The Tigers dominated the SWAC in the regular season, winning by an average margin of 31.7 points but had to overcome a sluggish first-half start to finish the regular season undefeated in conference play. 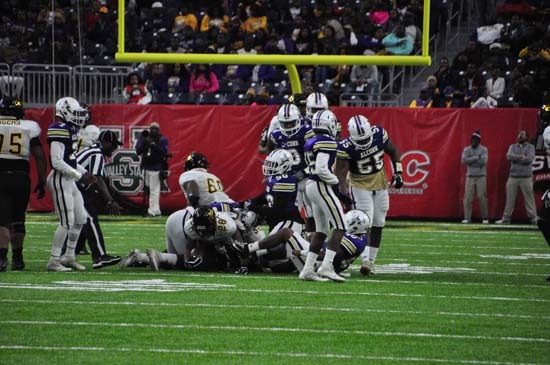 ALCORN STATE: The Braves dominated the first half and led by three scores at the break before losing momentum early in the third quarter and the lead in the fourth quarter. 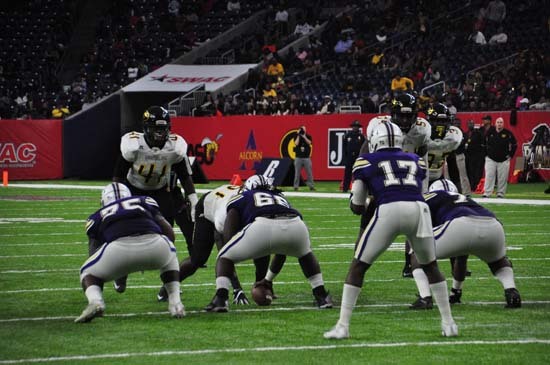 GRAMBLING STATE: The Tigers will represent the SWAC in the Air Force Reserve Celebration Bowl on Dec. 17 at the Georgia Dome in Atlanta, taking on North Carolina A&T out of the Mid-Eastern Atlantic Conference. 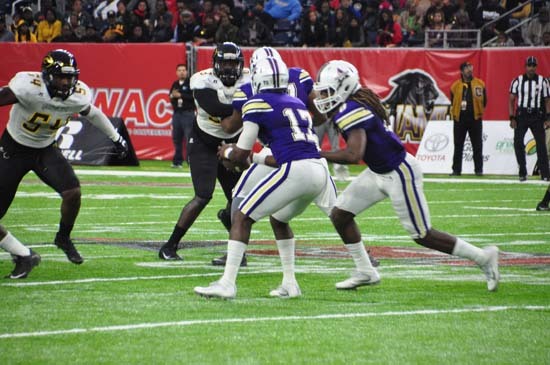 ALCORN STATE: The Braves are expected to return most of their starters on offense in 2017, including QB Lenorris Footman and Turner, and graduate just three starters on defense.